The number has risen by 3% since last year. Across the UK, the number of stray dogs is at an 11-year high with an average of 345 picked up each day. 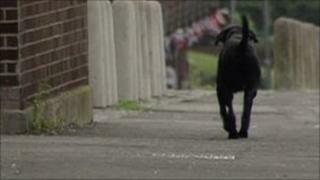 The charity said the findings highlighted the importance of having dogs micro-chipped. Ronnie Milsopp from the Dogs Trust described the new trend as worrying. "What we have seen in this survey is that dogs are seen as very much disposable and not as long-term commitments," he said. "The Dogs Trust is calling on everyone to get their dogs micro-chipped."